Thanksgiving is now in our rearview. However, that doesn’t mean we don’t have more things to be thankful for. Just yesterday, on Thanksgiving of all days, we were gifted some wonderful news from Anjunabeats bosses Above & Beyond. On November 30th, A&B will release their first original collaboration single in eight years with none other than Spencer Brown. 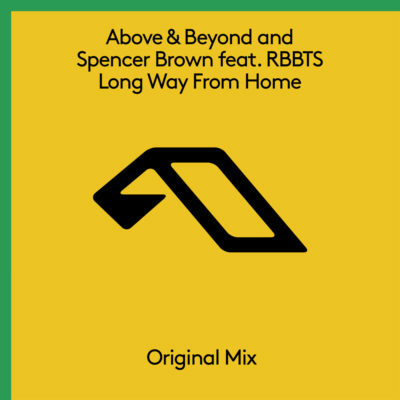 The song, as first heard at ABGT 300, is called ‘Long Way From Home’ featuring vocals from RBBTS. Normally, news of a collaboration, specifically from Anjua where collabs happen frequently, isn’t as ground breaking as this. If you’ve ever noticed that A&B don’t have many collaborations with other producers, it’s because they haven’t. The last collaboration they made was back in 2010 with Kyau & Albert on a little number called ‘Anphonic’. They did collaborate with Jason Ross on a ‘Fly To New York’ remix, but that was a remix not an original. It’s also worth noting who Above & Beyond chose to collaborate with. Spencer Brown has fully risen to stardom in the trance and progressive scene. His first studio album Illusion of Perfection was hugely successful. This just goes to show you how special A&B think Spencer Brown is. Below you can hear the ABGT 300 rip of ‘Long Way From Home’. You’ll notice how beautifully woven both producers’ sounds are. Make sure to mark your calendars. On November 30th, the next Anjunabeats classic hits online stores everywhere.